MANILA, Philippines - After dethroning the De La Salle University (DLSU) Green Archers, the newly crowned UAAP Basketball Kings and champions Ateneo De Manila University (ADMU) Blue Eagles will receive various incentives from the team’s principal benefactor Manny “MVP” Pangilinan as announced on Monday, December 4.
Business tycoon MVP praised both the Eagles and Archers for putting up a great championship series. Aside from lauding the boys, the PLDT Group Chairman revealed the incentives that the Eagles are about to receive from his good office. Each player will get a brand new iPhone X as per The Guidon, ADMU’s official publication. Aside from the luxurious handset, Mr. Pangilinan is also treating the entire team to an extravagant trip and vacation to Hong Kong. The Filipino billionaire is also pleased on how the series ended and even bared that players from both squads have the potential to represent the country in international basketball tournaments after displaying their talents all throughout the Season 80 best-of-three finals series. The iPhone X has been available in the US and UK markets a month ago and it was just released in the Philippines last Friday. The prestigious smartphone is priced at Php 64,490 (64GB) and Php 73,990 (256GB) according to Apple Philippines page. 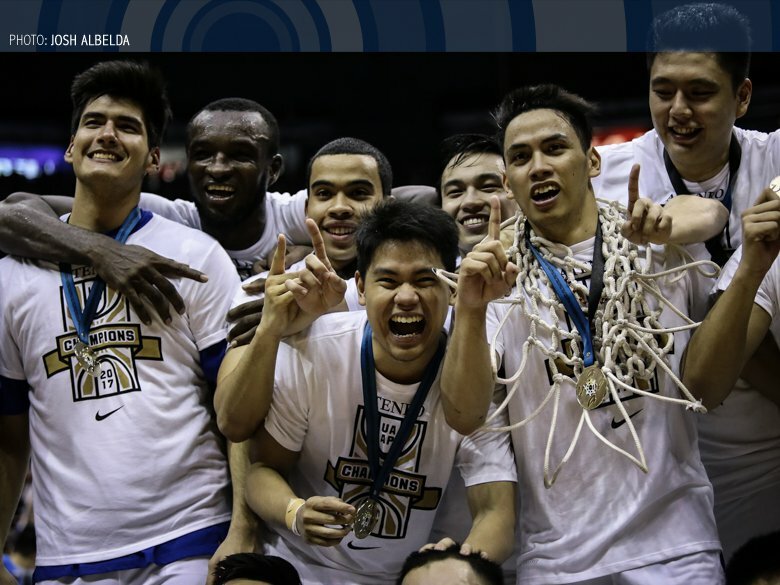 Lucky for the Blue Eagles, they don’t have to spend that much on the world’s most high-end smartphone up to date. It will be best used in taking photos as souvenirs in Hong Kong too!